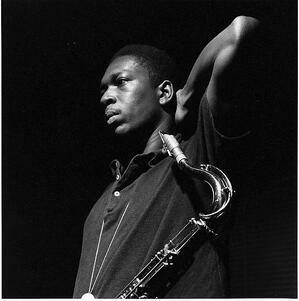 Born in North Carolina, John William Coltrane (1926-67) would not start playing a saxophone until he was seventeen. It was not his first instrument, he had already played horn and clarinet in bands, but it was the instrument he would become best known for playing. It took several years for Coltrane to get any kind of professional gig playing his sax but in Philadelphia, in 1945, he began playing in a cocktail lounge. Little did he or the patrons know, the saxophonist they were listening to would go on to become one of the jazz greats. By the time John Coltrane died in 1967 at the age of 40, he had experienced one of the most remarkable careers in music. ‘Trane’ was a compelling voice that contributed to some of jazz’s greatest innovations, from bebop to free jazz, resulting in both controversy and enduring success through critical and popular acclaim. 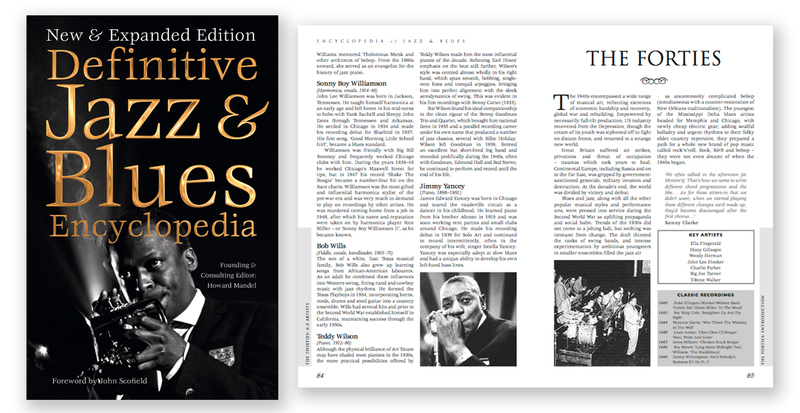 You can read more about the life and times of John Coltrane on Flame Tree Pro! Coltrane began his career on an alto saxophone but after leaving the band he had joined while in the navy, and returning to Philadelphia, he picked up a tenor sax. Both instruments were a defining sound of jazz music but the tenor sax became favoured in later years and can be heard in the Swing era as the most prominent solo voice at the forefront of most Big Band music. One of the reasons the tenor sax became Coltrane’s preferred instrument is the impressive dexterity and range in tone that it is capable of. While there is no doubt that the saxophone in general is one of the most expressive instruments in jazz music, the tenor sax’s dynamic range allowed Coltrane to really push the boundaries of jazz at the time. This would become particularly important when creating Giant Steps. Learn more about the history of the saxophone on Flame Tree Pro! Giant Steps might be considered a slightly odd choice to be considered as Coltrane’s entry into our legendary albums list. Blue Train was his first album as leader, an amazing representation of the hardbop style and reportedly his favourite of his albums. It’s a great listen and a timeless classic but lacks the revolutionary quality that you might expect from a “legendary” album. A Love Supreme is also an obvious contender due to its prowess as one of the most critically acclaimed jazz albums. While praised for its deeply spiritual tone and the impressive talent of Coltrane’s musicality, the album can be a touch too cerebral and might not be as inviting to an audience who don’t already enjoy that more free jazz tilt present on the record. Giant Steps is our pick as a legendary album for several reasons. The first is where it stands in Coltrane’s body of work. It is a clear step toward the free jazz he would later pioneer but also a beautiful follow on and extension to the bebop and hardbop that he had recorded before. It makes a beautiful bridge between the two that really gave Coltrane the artistic space he needed to show the world what he was capable of both instrumentally and in his ability for music theory. 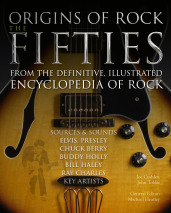 This ability for music theory is another reason that Giant Steps can’t be ignored. So named for the leaps between key changes (also termed “The Coltrane Changes”) it was truly groundbreaking. On the album in general, but the title track specifically, you can see the culmination of Coltrane’s studies, expertise and talent shine through. Coltrane wrote a piece of music that switches between three key centres multiple times in the first 16 bars. But it doesn’t just switch between three keys; it switches to the farthest key away from the current one as it can. Not only did he mange to write a piece that did this harmoniously but he then improvised over the music he’d written and did that harmoniously too. 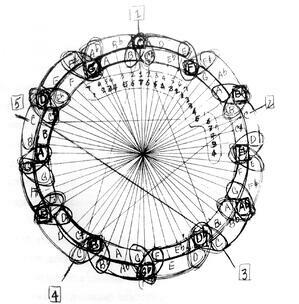 This oddly beautiful sketch is some of Coltrane's work on the circle of fifths and shows the way he built patterns in his music. If you don’t know anything about music theory or just need proof of how difficult of a piece this is to play then just listen to Tommy Flanagan, the amazing pianist on the original recording, trying to improvise. He can’t seem to find his rhythm and the whole section seems stuck until it ends and Coltrane comes back and steals the show. Vox actually have a great video where they try to explain the music theory behind The Coltrane Changes and if your interested in what goes on behind a track I highly recommend it. Giant Steps would go on to become a jazz standard and in some sense a right of passage for young jazz musicians. Being able to play in Giant Steps, and more importantly being able to improvise well over it, has become a challenge that people now love to try and take part in. For this reason is goes down as a simply irrefutable example of Coltrane’s mastery of craft and a certifiably legendary album. 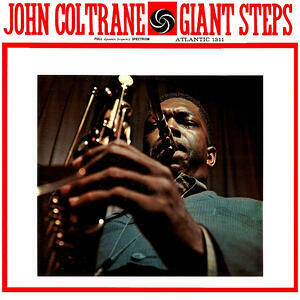 You can listen to Giant Steps here.